Home » Is Jesus God? Or Messiah? » If Jesus were really God… Does he have any specialty himself? If Jesus were really God… Does he have any specialty himself? 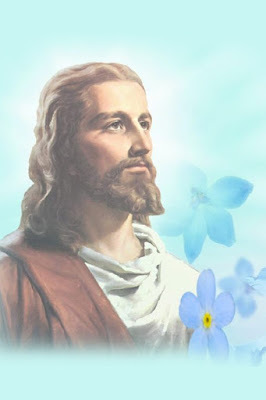 If Jesus were really God himself as propagated by the present day church then being a God Jesus would have possessed everything means all divine powers, authorities, own decision making power, power of doing miracles individually not depends up on anybody. But let us see did Jesus possess anything individually in the following verses. COULD JESUS HAVE COME ACCORDING TO HIS OWN WILL? On careful perusal of the above verses it is made clear that Jehovah neither had come in the form Jesus nor Jesus had come with his own will but God had sent him with His will due to He so loved the world. AT LEAST COULD JESUS HAVE PERFORMED ANY THING OF HIMSELF? AT LEAST DOES JESUS HAVE THE POWER OF TALKING HIMSELF? AT LEAST DOES JESUS POSSESSES ANY OWN POWERS? AT LEAST DOES JESUS HAVE THE OWN POWERS TO PERFORM THE MIRACLES? AT LEAST DOES JESUS POSSESSES THE OWN AUTHORITY? AT LEAST DOES JESUS HAVE THE POWER TO OWN THE AUTHORITY WHAT HAD BEEN GIVEN BY GOD? AT LEAST DOES JESUS POSSESS THE AUTHORITY TO TAKE DECISION WITH HIS OWN WILL IN HEAVEN? AT LEAST THE STATUS “CHRIST” AND “LORD” WHAT HE HAD BEEN GIVEN, WAS HIS OWN? AT LEAST THE STATUS “SAVIOUR” WHAT HE HAD BEEN GIVEN, WAS HIS OWN? AT LEAST THE EXISTENCE TO BE IN THE CREATION GOD WAS HIS OWN? AT LEAST THE LIFE WHAT HE HAD BEEN GIVEN, WAS HIS OWN? EVERYTHING WHATEVER JESUS POSSESSES, WAS THAT HIS OWN? Thus one who does not possess any own status, power, authority, own decision power in this world and heaven also can be regarded as God or equal with God? Think over it. 0 Response to "If Jesus were really God… Does he have any specialty himself?"